Come and share this Easter (2019) as we hear about the powers from on High. The ‘Heavens declare the Glory of the Divine’ with the coming of the Hosts. The Language of Light is also used to call up-on the Lords of Light and the powers of the Divine. 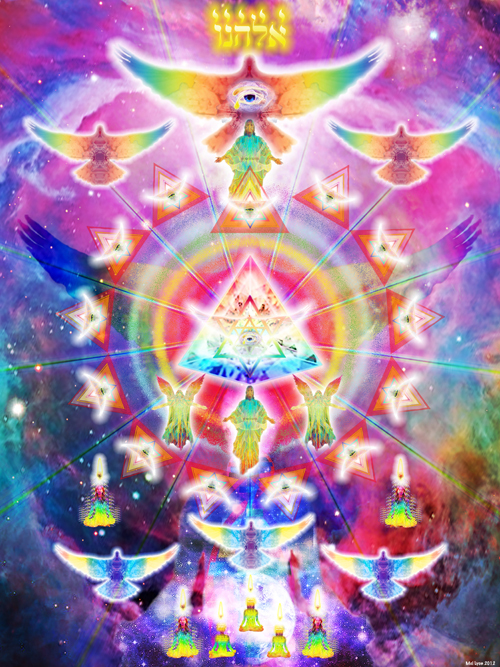 As we learn to understand the power of the Most High within all living things, we discover that we are part of a higher evolutionary process, which also ex-ists at the deepest levels of our human nature. We are inviting you to join us this Easter, but we ask that this seminar be limited to those mainly who live in the USA, Canada, or Pacific region since space is limited and we have seminars scheduled for 2019 all over the globe. Also it is important to note our information is not about channeling or psychism. This seminar will take place at the Embassy Suites by Hilton Phoenix-Scottsdale. Advanced registration is mandatory. For those who are flying in, it is most practical to fly into the Phoenix airport (PHX). Our seminar begins on Friday evening, April 19th and continues during both the day and evening until late Sunday evening, April 21st. (See optional Monday outing below.) For all who are attending our event, we would appreciate it if you would sign the liability waiver that will be mailed to you after you register. ON MONDAY, April 22nd, we will have an outing at the Heard Museum for an Academy talk and muse-um visit. There will be a small charge for the Monday outing of $15 (all inclusive) if you have a car and $25 if you need a shuttle ride to/from the museum. You can pay the day of the outing, but we will ask you in an email if you are attending, so we can take a count for available seating. If you need to leave for the airport from the Heard Museum on Monday, you can do so directly as we will be renting a room at the museum until 4:00PM, so take your luggage with you to the Museum and have your Uber, Lyft or taxi pick you up there. You can leave the Heard Museum for the airport at anytime from 10:00AM to 4:00PM on Monday, April 22nd or return with us to the hotel for an evening meditation and Q&A. The expo is three-days of insightful, practical and meaningful lectures, workshops and experiential special events designed to help participants navigate through a changing planet and provide the tools needed for a complete body, mind and spirit. May 8th – 13th, 2019 – Buena Vista Lake – Kern County CA. 4-Day Festival Passes: Grants you access on Thursday, May 9th. 5-Day Festival Passes: Grants you access on Wednesday, May 8th. Campgrounds close: Monday, May 13th. Buena Vista Aquatic Recreational Area 13601 Ironbark Rd. What is our “Possibility Accelerator” that will empower an evolutionary leap in global consciousness? It’s our Moment of Choice: Let’s actively create the future that we want together. It’s time to lift off into our unlimited potential! The Power of Story, the New Narrative of Evolution and Activating our Advanced Human Potential. Tools, projects and ongoing connections that will fuel our individual and collective missions. Join members of the Evolutionary Leaders Circle and get ready to Lift Off into the field of boundless possibilities. We are really excited to invite you at attend an outstanding event where we will be a presenters. I would love for you to join us on an amazing “UFO Cruise” and Seminar-at-Sea, coming October 6 to 13, 2019, sailing from San Diego CA to the awe-inspiring beauty of the Mexican Riviera: Cabo San Lucas, Mazatlan, and Puerto Vallarta. PLEASE USE OUR NAME IN THE REFERRAL BOX WHEN YOU ARE REGISTERING FOT THE CRUISE! Check out the website www.ufocruise.com. 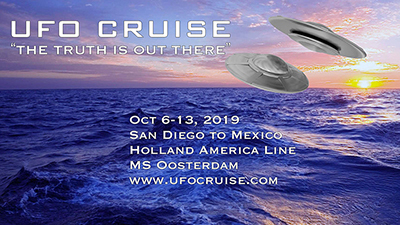 Explore “the truth that’s out there” on our amazing UFO Cruise and Seminar-at-Sea, which takes place right onboard an extraordinary, luxury cruise ship during a seven-day cruise, in conference rooms on the ship, and during port calls in the Mexican Riviera. Join us! 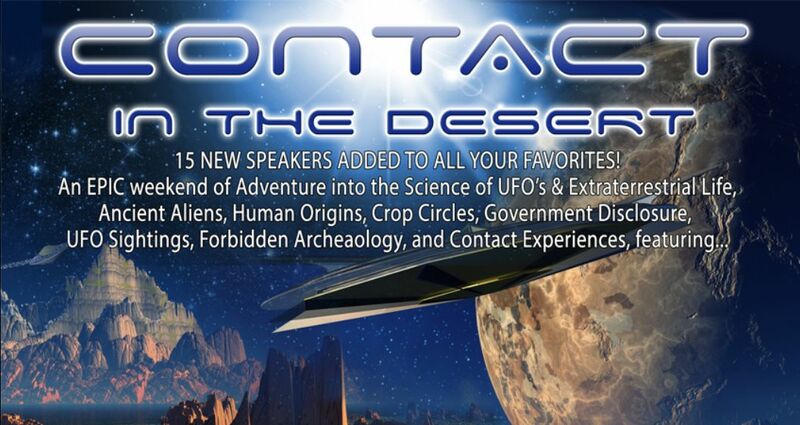 During this incredible, mind-blowing, truth-telling, enriching, unique event, we will unearth the truth about the UFO coverup, and we will explore the possibility of disclosure with some of the most respected researchers, authors, teachers, speakers, intuitive counselors, healers, contactees, abductees, and spiritual teachers on the planet. This cruise will not only uncover the lies. It will show us the truth. As we dispel the darkness, and shine the light of wisdom, we enter the true light of consciousness. And we are set free. – Join us on an incredible cruise as we sail to beautiful fun-filled tropical ports. – Be a part of a holistic conference at sea, with famous researchers, investigators, and whistleblowers. – Visit fascinating sites and enjoy amazing shore excursions unavailable elsewhere. – Enjoy fun in the sun on pristine beaches and marvel at native wildlife and sealife.